Ubuntu 10.10 beta. The background in library is white so the fonts are invisible, screenshot attached. Are you using revision latest revision (r2614) from http://bazaar.launchpad.net/~mixxxdevelopers/mixxx/release-1.8.x/revision/2614 by any chance? RJ made some code changes ( some hours ago) allowing the library to by styled by CSS (QSS) as well. The QSS are not finished. I`ll push them to https://code.launchpad.net/~jus/mixxx/skins soon. This branch is in sync with trunk. Please report back than if it looks good for you on Linux. Or is this with the 1.8.0 release candidate that's in Universe? 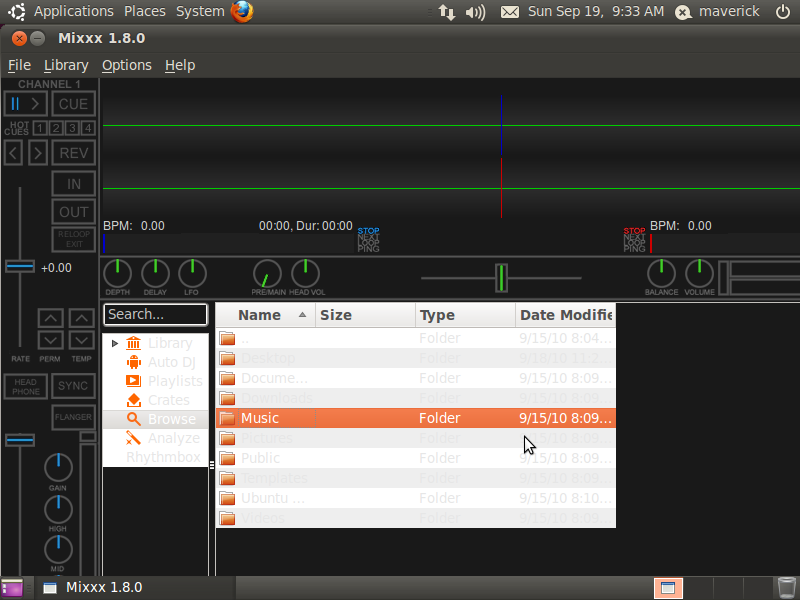 Confirmed using the current packaged version in the Ubuntu 10.10 repositories on a fresh install of 10.10 beta. Even with lp:mixxx/1.8 the problem persists. Turns out this is a Qt 4.7.0 bug. It's already fixed and is in 4.7.1. A workaround is possible with the right Qt styles, but it is really ugly. Added a workaround to the 1.8 branch that should detect if we are running Qt 4.7.0, and if so provide some hacked styles that should fix 99% of the visual issues. At least people will be able to read it.